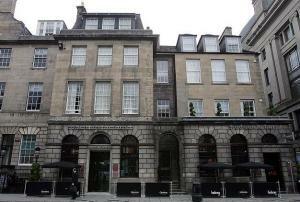 In the heart of the city centre, at the West End of Princes Street, this beautiful 18th-century building is now a 4-star boutique hotel offering stylish, modern accommodation and free Wi-Fi. 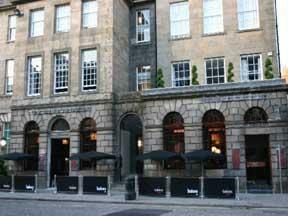 The Hudson Hotel has a superb location, right in the centre of Edinburgh. Everything that the Scottish capital has to offer is just a few minutes' walk away, from the beautiful and historic Edinburgh Castle to the Edinburgh International Conference Centre (EICC). This impressive building's beautiful period features have been carefully preserved, while the interiors have been sensitively renovated. 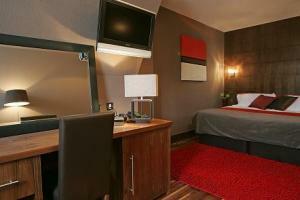 The 30 state-of-the-art rooms are stylish, contemporary and well appointed. 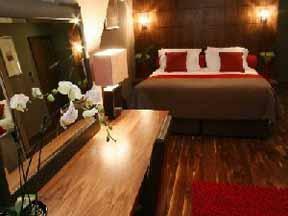 All rooms have minibars, large beds, luxurious Egyptian cotton sheets and LCD flat-screen TVs with on-demand movies and entertainment. 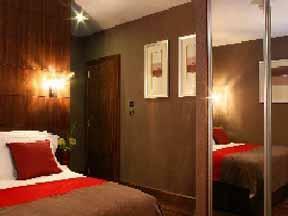 Sophisticated and modern, the lively Hudsons Bar is reminiscent of a New York loft apartment. Open for everything from breakfast right through to late suppers, the food and drinks menus offer a superb selection of old favourites with a modern twist.